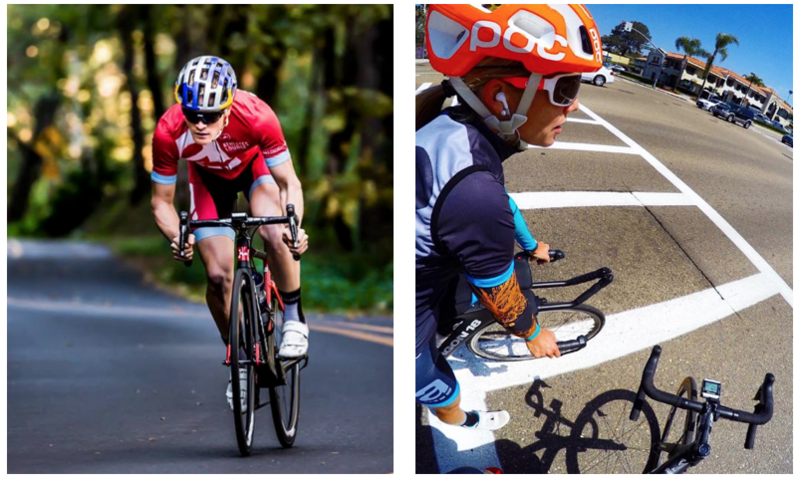 Park City, Utah (May 11, 2016) — POC, a leading manufacturer of skiing and cycling helmets, apparel and accessories, has signed Eric Lagerstrom and Magali Tisseyre to its growing roster of triathletes. Originally from Oregon, Lagerstrom is coming off his best year as a pro in 2015 where he won the Escape from Alcatraz and Beijing International Triathlons, the first athlete to win the two races back-to-back. Lagerstrom turned pro in 2013 and won his first major race, the U. S. Sprint National Championship, the same year. He’s currently preparing for the final Olympic trials on May 14. Magali Tisseyre is a 70.3 distance specialist with 17 Ironman 70.3 victories and two World Championship podiums. In 2009 she was named 70.3 Triathlete of the Year by Triathlete Magazine. She recently kicked off her 2016 season with a win at the 70.3 South American Championships. Lagerstrom and Tisseyre will be racing in the Cerebel helmet and Do Half Blade sunglasses for the 2016 season. Both were designed in POC’s WATTS Lab, a specialized department created to optimize aerodynamic performance in its helmets and apparel. WATTS Lab brings together aerodynamic specialists and experts from the Cannondale-Garmin Pro Cycling Team and Volvo.